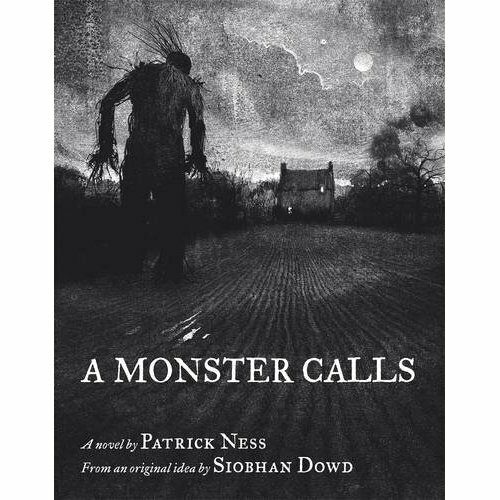 Jim Kay came down to Walker to meet Patrick Ness on Wednesday. 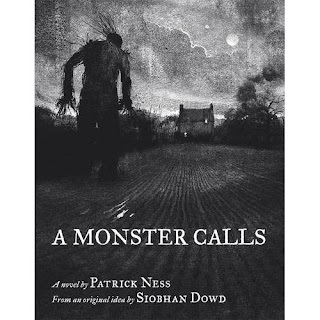 Jim's been working on the illustrations for Patrick's new book, A Monster Calls, so it was good that they could meet. Walker were excellent hosts, as always, and Ben Norland has designed the book in a typically unusual and stylish way. Here's more, on Patrick's blog. 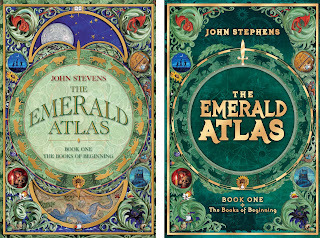 Two different prospective covers by Jim Kay for the new book by John Stevens which has had so much attention. Commissioned by Liz Laczynska for Random House Children's Books. More of Jim's work here. During the 1980's John Harris was discovered by the US and London book publishers and as a result he produced some classic images for them. During these years he developed his style as a painter of science fiction imagery, and since then the work has become collectable. 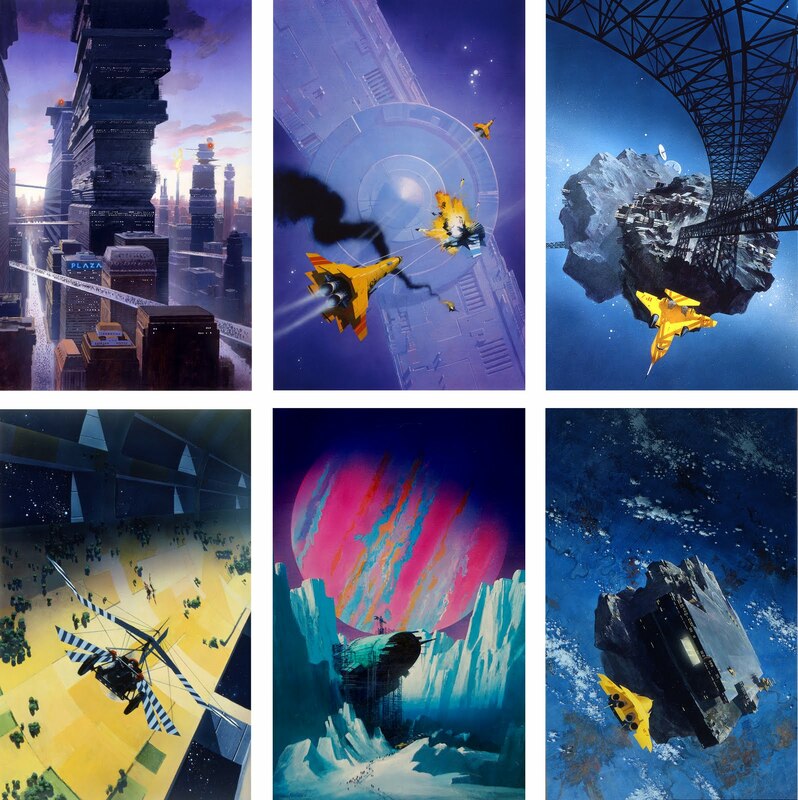 There is now a further collection of this work available from the website, under Originals for Sale, Science Fiction book cover art. Fred's been experimenting with some new software inspired by the Mandelbrot. 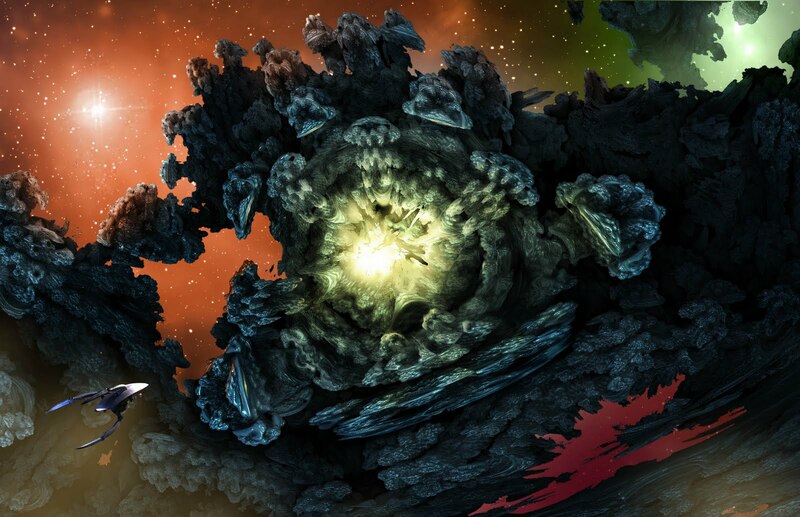 Take a look at his "space coral". More of Fred's work here. 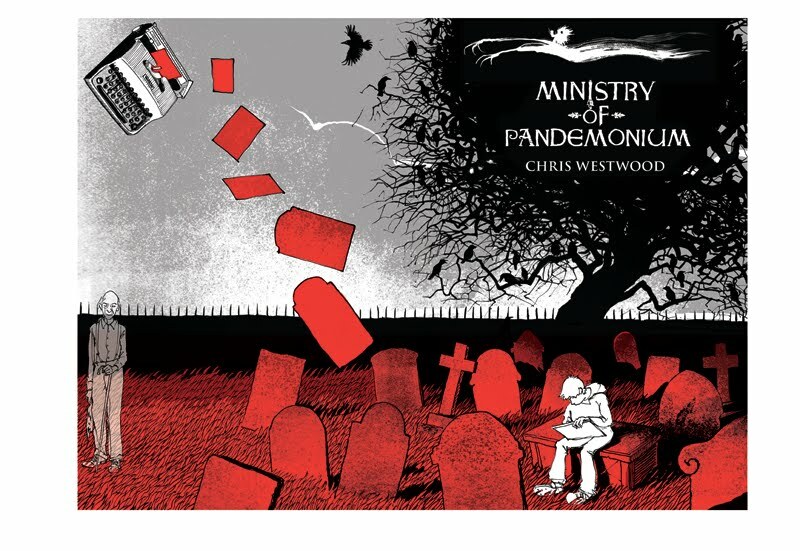 Frances Lincoln have designed a mini website for Ministry of Pandemonium, their book by Chris Westwood with a cover illustration by Jim Kay. Wishing artists and clients a successful 2011. May it bring you good health and prosperity, even a large bunch of garlic, as above. Many thanks for a busy and fulfilling 2010. By going to the Alienology IIF website you can see for no charge a limited amount of the work Fred produced for the Cosmos 5 space station, published by Templar. However I do recommend that you sign up to see the whole site as this is a hugely enjoyable experience not just for children but for us too. 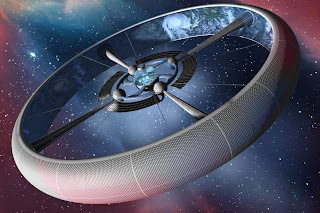 Who but Fred could have designed an enormous space station complete with biosphere, from scratch, and made it spin? 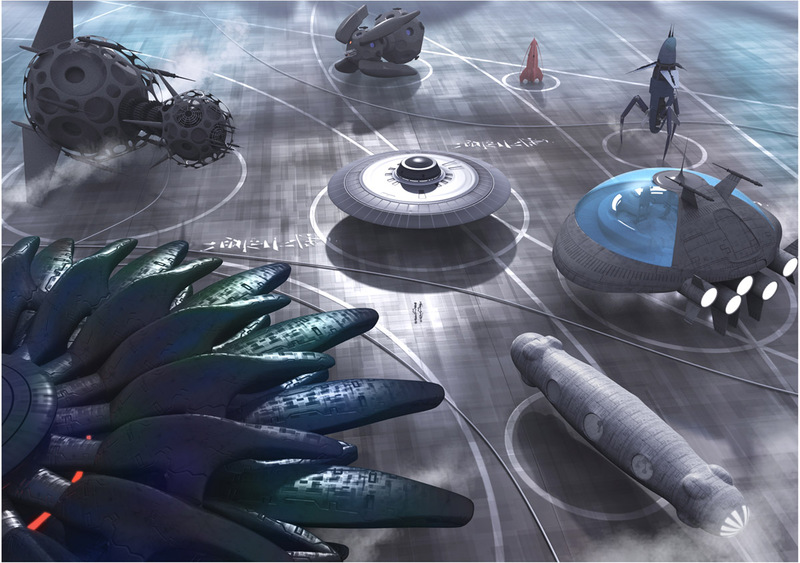 The illustration above is just the hangar. John Harris produced covers for the The Giants Trilogy back in the 1980's and I now have the three original paintings for sale, along with the cover proofs for the Granada editions. The paintings are large acrylics, 48 x 73 cms, and they'll be added to the website soon - with more details. Prices are likely to range from £850 to £1250, or US$1350-2000. Jim Kay has illustrated Dragonborn, the first book in Toby Forward's Flaxfield Quartet for Walker Books. To be published on 3rd January. More of Jim's work here. Yesterday's release of the film from Cartoon Network, Firebreather, has brought in a flood of reviews. Most people seem to like it, and the idea that a film of this kind can be made on a low budget is going to cause a stir. 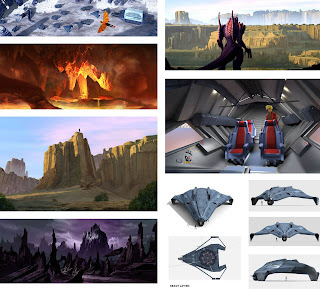 We can now show you the work that Fred Gambino has done, and there's much more on his website. Click on the image to see a larger version. 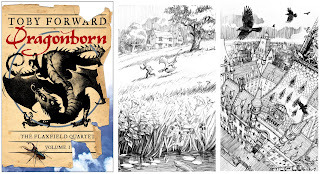 More Gordon Crabb illustration here. John Harris has just been commissioned by Berkley to illustrate the cover for Jack McDevitt's next book, Firebird. 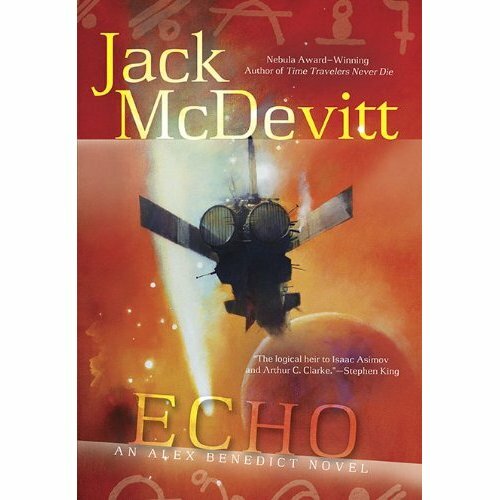 This seemed like a good time to bring together the earlier work John has produced for Jack, and offer them for sale. The painting for Seeker (above left) is available on the website, and we are now offering it with a 10% discount, so £2250 or US$3825. Polaris (above right) is also offered at a 10% reduced price of £2100 or US$3150. 27 x 20 inches. 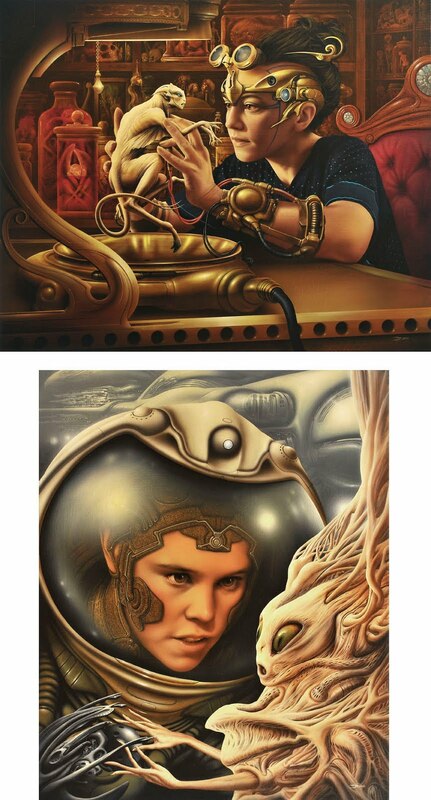 Both are hugely impressive oil paintings, and the above image does not do justice to the originals which can only be properly appreciated in reality. 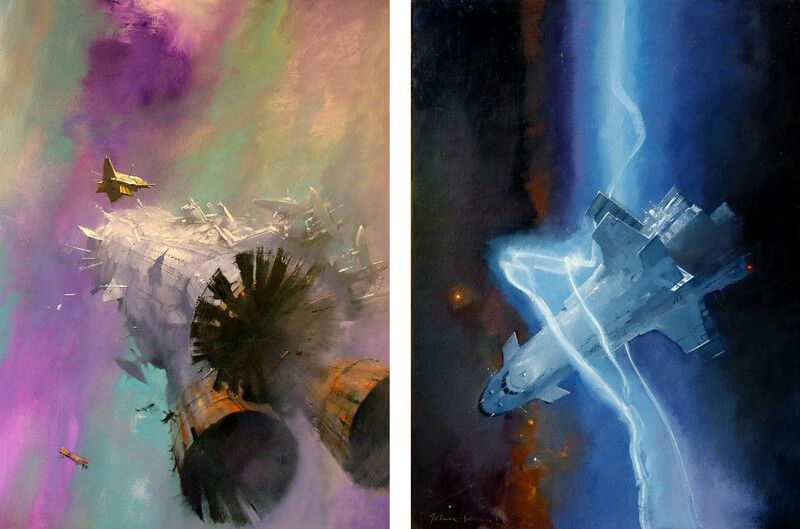 The cover painting for Echo (left) is now available, at £1950 or US$ 2950. It's in oils on canvas and measures 21 x 30 inches. 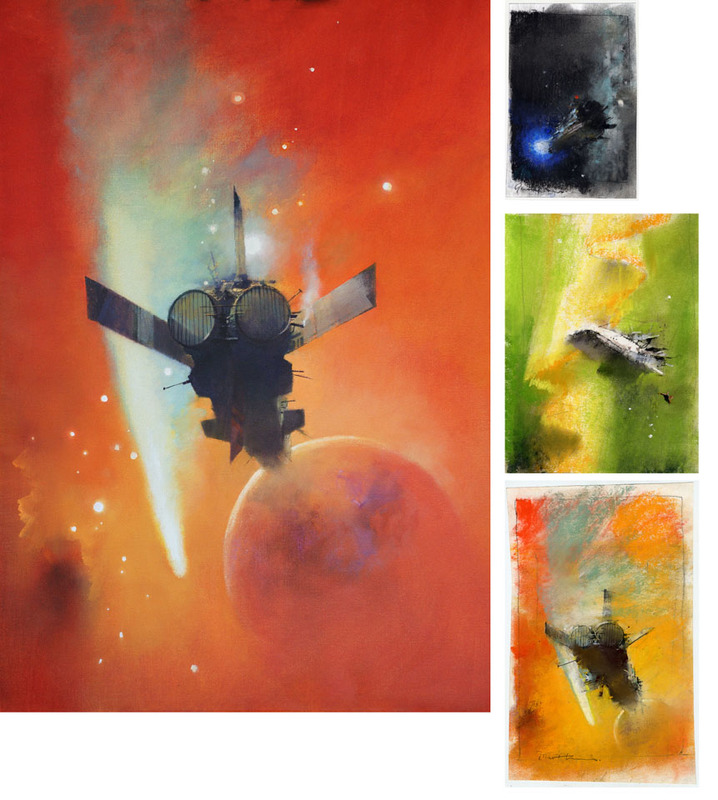 The pastel sketches for Echo 1 and Echo 2 (and also a very small one for The Devil's Eye, top right) are already available on the website. 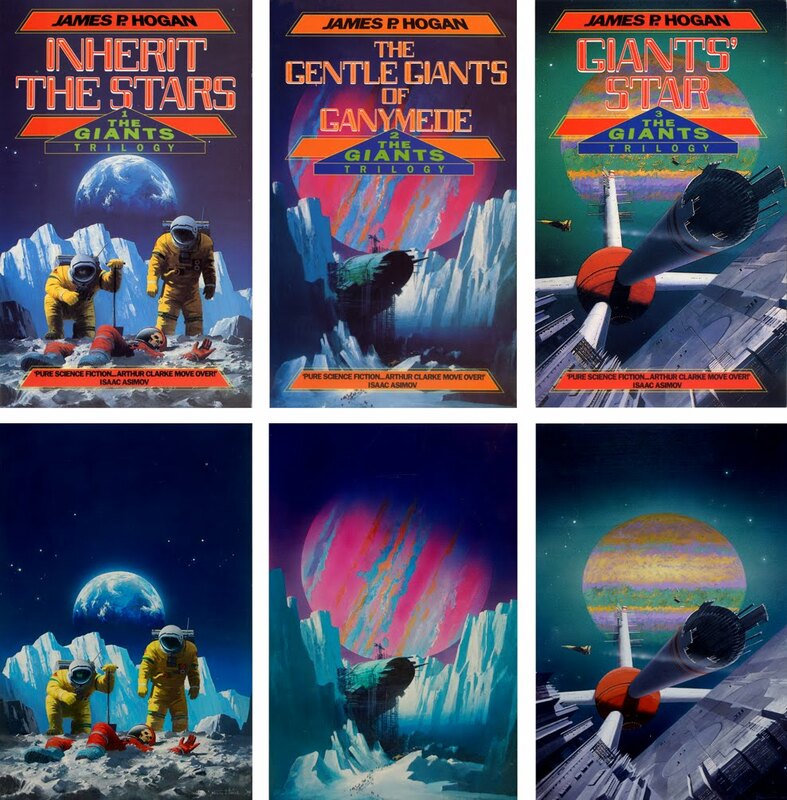 Having spent much of the last few months working on science fiction, Fred Gambino wanted to produce something slightly different. 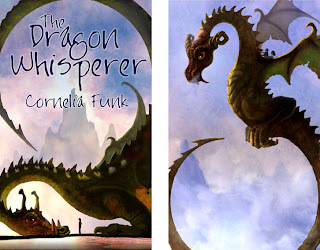 He's produced these dragon images using a more painted look. More illustration here. 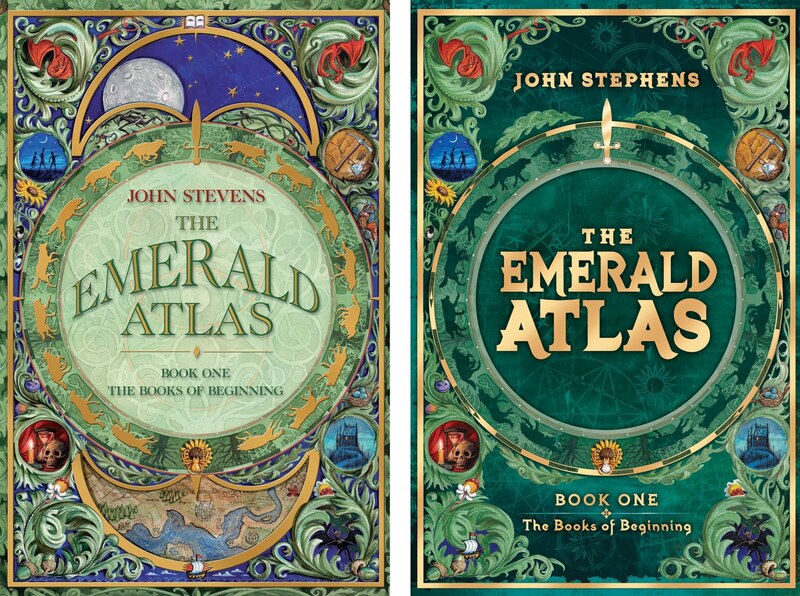 "John has done four covers for my novels. They are superb. Please pass along my appreciation to him." Good luck with the publication of Echo this month, Jack. The sketch by John Harris can be seen here. 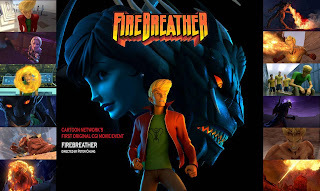 Fred is credited as co art director on the new cgi film by Cartoon Network, Firebreather. He was responsible for the design of vehicles and environments and production art to determine lighting and textures. We can't show images of his designs yet but here is the trailer in which there is a fleeting glimpse of his flyer cockpit design. Caleb Goellner in Comics Alliance. More film work on Fred's own website. 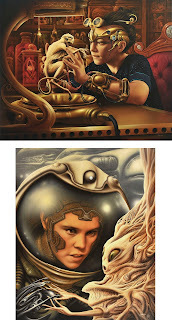 Jim Burns has produced two paintings for a new series of personal work which he's called 'Lost Narratives'. He's used two of his daughters as models - at the top is Gwendolen who's manipulating a small homunculus: "the apprentice feverishly administered the potent mix of refined alien toxins . 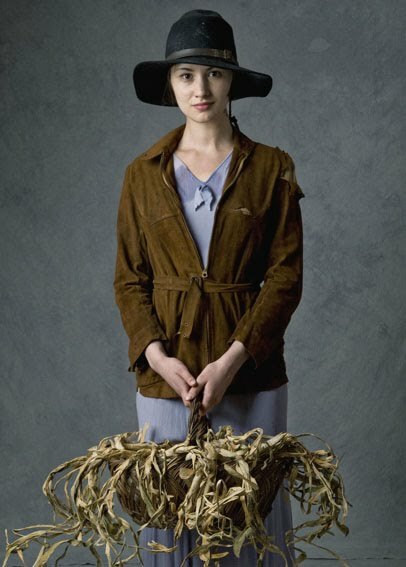 . . all around her, corridors full of shelves, were the failed experiments of others". The second image, Tertiary Node, is Megan: "Sheer located the first of the invasive nodal eruptions near the rear of the ship . . . the semi-sentient invader, oblivious to her alarmed presence, appeared to have been seeded at least three days previously, ship-time". 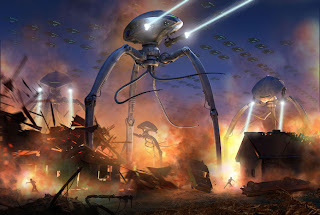 Many images have been added to Fred Gambino's online portfolio including some from the newly-published book, Alienology, The Complete Guide to Extraterrestrials. Templar are supporting the publication with digital back-up as featured in the recent Bookseller article. Fred has coolly designed a complete space station which can be viewed on a phone or computer. Expect more follow-up to this in the press. And to see more, visit Fred's own website here. 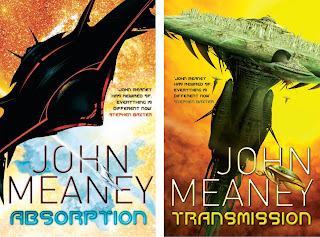 Jim Burns has produced many covers for John Meaney's books so he was delighted to be asked by Sue Michniewicz of Gollancz to work on the cover for his new novel, Absorption, last year. He's now followed it up with Transmission. More of Jim's illustration work here. 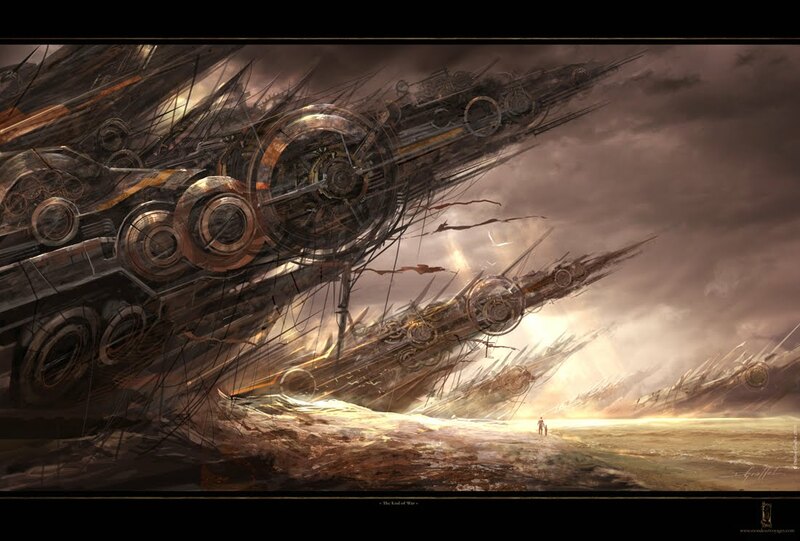 This stunning new piece by Didier Graffet is called The End of War. Click on the image for a larger view. More of Didier's work here. I work as an agent for six artists and this site is where we show their work. I also work as a freelance rep for Arena, the illustrators' agents.